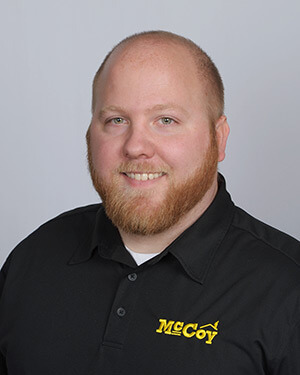 Adam Pottebaum grew up in a small town in Iowa (go hawks) with a passion to tinker and know how things worked, which is his reason for working at McCoy. Adam handles doing service work, warranties, as well as handyman work. He’s married with two dogs. Let him know if there’s any project where you’d like a handsome, attention to detail person to help!